We’ve been renovating homes and businesses throughout Colwood for many years. Our work speaks for itself. Though you may not think about it every day, well-maintained heating, air conditioning, plumbing, and refrigeration systems are vital to modern life. Ensure your comfort by getting your plumbing, refrigeration, and HVAC in the Victoria and Nanaimo areas serviced. Prolong equipment life and enjoy lower operating costs with proper maintenance. Choose the experienced team of licensed, bonded, and insured professionals at West Bay Mechanical Ltd. For over 40 years, we have been providing reliable renovation and HVAC services for a variety home and business owners. We install and service heat pumps, furnaces, hot water heaters, bathroom fans, boilers, and more. Contact us today for HVAC services in Victoria, Nanaimo, and the surrounding areas. Save money by signing up for a planned maintenance agreement, and get access to a team of government-certified gas-fitters, refrigeration technicians, electricians, plumbers, and more. Not only is functioning air conditioning a real comfort during the hot summer months, it can mean better health and safety for your household. For air conditioning repair services in Victoria, Nanaimo, and the surrounding areas, contact West Bay Mechanical Ltd.
“HVAC” stands for “heating, ventilation, and air conditioning.” We can handle furnace maintenance as well as furnace repair jobs in Victoria and Nanaimo. Don’t wait until the first snowfall to get your furnace fixed; make sure you’re warm and toasty on the first day of winter. Leaks, pipe bursts, and clogs can be major inconveniences. If you come home to a plumbing problem, contact us. We are a Victoria-based plumbing contractor and we can fix your residential plumbing problems in Victoria, Nanaimo, and the surrounding areas with ease. We can also help with kitchen and bathroom renovations.  West Bay Mechanical Ltd. repairs, installs, and maintains HVAC systems throughout the house. From thermostats to boilers, heat pumps to bathroom fans, we’re experienced with it. We also sell quality products from brands that we trust. Considering a renovation? We can handle custom kitchen and bathroom designs, rough-ins, multi-unit mechanical system designs, and even help you transition to alternative green energy systems. Did you know we can handle refrigeration issues as well? Our commercial services are extensive. We offer 24/7 emergency services, plus custom mechanical system designs, scheduled maintenance, plumbing services, renovations, and more. We can also help make sure your business stays compliant with the right permits. Our services are not limited to these brands, however. Our experienced team members can work with all makes, models, and manufacturers. Looking for HVAC examples in Victoria? Come visit our showroom and browse our best fixtures and appliances. Get help from our informed staff about what will work best with your property, financially, functionally, and aesthetically. Ready to improve your HVAC system in Victoria, Nanaimo, and nearby areas? Call us now and get a quote for your installation, repair, or maintenance job today.